Volkswagen unveiled its plans for the Autonomic vehicle market in the 67th international motor show, held in Frankfurt, with a clear statement of its plans to launch a fleet of fully autonomous electric cars by 2021 through mobility service providers Gett and Moia. 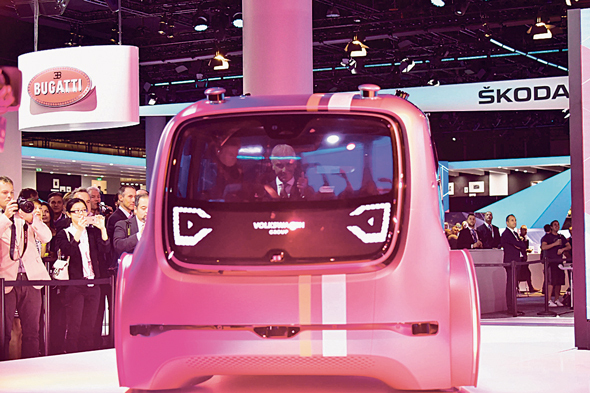 In March, Volkswagen presented at the Geneva Motor Show a self-driving vehicle concept applicable to cars, vans and trucks, which the company intends to start testing in its headquarters soon. Volkswagen's design chief, Michael Mauer, is cited in Automotive News as saying the concept was developed for a transitional age during which users might be alarmed by the idea of self-driving cars without a cockpit, steering wheels or pedals. Johann Jungwirth, Volkswagen's head of digitization strategy, is cited in Automotive News as saying that the vehicles, to be launched first in 2-5 cities globally, will be available through the Volkswagen Group-affiliated Moia, which will receive the larger vehicles as an alternative to buses; a smaller, production version of the autonomous vehicle will be available through taxi-hailing company Gett. In May 2016 Volkswagen invested $300 million in Israel-linked ride-hailing company Gett. With over $640 million in total equity funding and more than 1500 employees, New York-headquartered Gett operates mainly in Europe. It currently offers its services in around 60 cities worldwide. 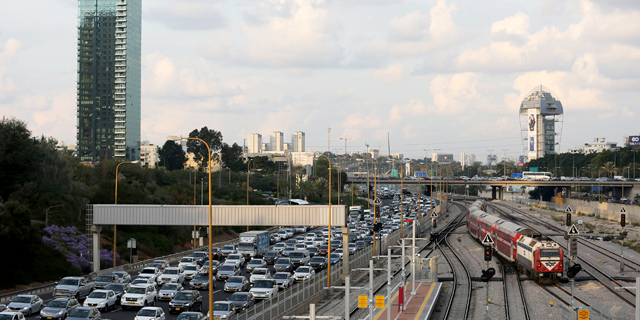 Just two weeks ago another Germany-based auto manufacturer, Daimler AG, announced a new European venture with Israel-linked shuttle-sharing company Via Transportation inc. As part of the venture Daimler's van division Mercedes-Benz Vans invested $50 million in Via.